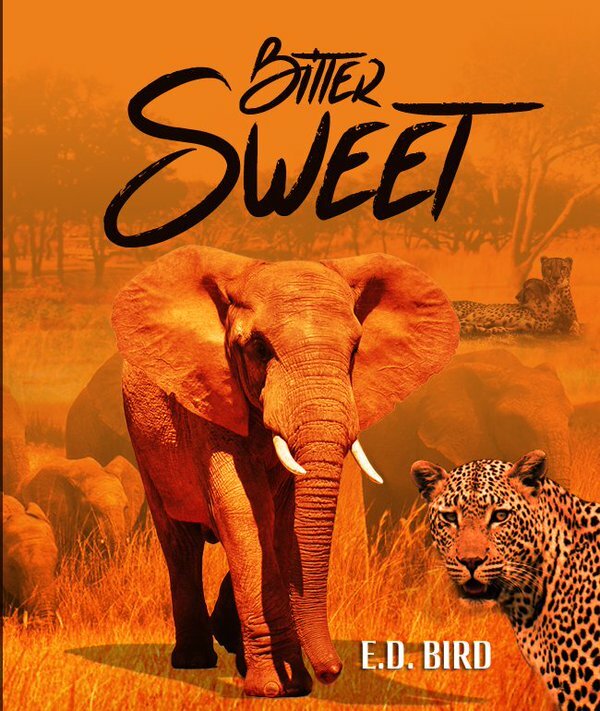 Bitter Sweet is a fictional novel set in southern Africa. It includes many encounters with wild animals and unscrupulous people. The book was written with the author’s accumulated mining experience and knowledge of the African wildlife, as well as that of the environment. While the setting is fictional, as are the characters, a great many of the historical locales have been moved from their rightful position and fitted into this imaginary place. Hilton Shire, a recently appointed Private Investigator since the untimely death of his wife Sabrina, is on a mission of revenge, together with his brothers-in- law, Jordan and Kyle. They believe that Sabrina was murdered as a result of her investigation into the demise of Julie Curl’s husband a number of years before; they also believe that she was drawing close to resolving the mystery when she met with unmitigated violence. 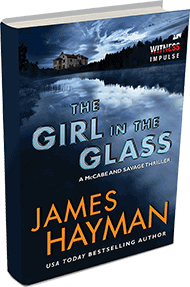 Will Hilton get to the bottom of the mystery and avenge his wife before more killings take place? Readers are taken on a relentless cat and mouse chase across the unforgettable southern African nations and Barbados. The unfolding adventure is menacing, perilous, intriguing and, in the end, could possibly be Bitter Sweet . . . If the name Noah Hawley rings a bell, it could be because he’s the Emmy and Golden Globe winning creator of Fargo. But soon you’ll remember his name because he’s the author of the thrilling new novel Before the Fall. 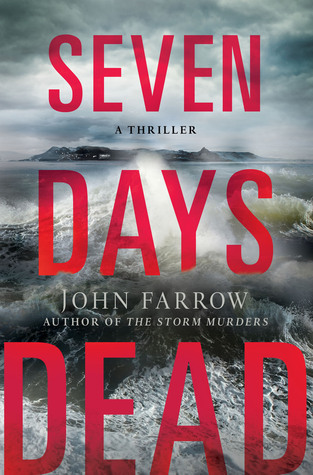 This is strong literary writing, with earnest, realistic characters and a main protagonist whose story you’ll want to follow to its conclusion. Scott Burroughs is a painter who is afraid his prime time is in the his past, languishing on a bed of memories he can’t shake. He’s recently developed a breakthrough in his paintings, and needs to leave his Martha’s Vineyard home for appointments in New York to set up shows. He’s befriended Maggie Bateman, whose husband, David, is a media mogul. She invites him aboard their private jet to fly to NY. What could be more enticing? In a quirk of fate, Scott almost doesn’t take the plane, but then he decides to go and boards in time for the flight. Also on board are the Bateman’s son and daughter, and a second multi-milliionaire, Wall Street banker Ben Kipling. Staff is a security man, the pilot, co-pilot and flight attendant. Sixteen minutes later the plane crashes into the ocean. Scott and JJ, the Bateman’s four-year-old son are the only survivors, and only do so through a heroic swim of Scott’s that saves their lives. Its description alone is worth the price of the book. What happens next involves intense media speculation and scrutiny, combined with the sudden interest of too many acronyms for Scott: FBI, NTSB, even Homeland Security all want to know what caused the crash. Could it have been an act of terrorism? Maybe Kipling was involved in money laundering. There are too many maybes and too many lives involved, and each must be thoroughly investigated, including if ISIS was involved. Hawley introduces each character in rotation, with Scott’s story the constant, moving the story forward as the investigation progresses. He will meet Eleanor, Maggie’s married sister, now entrusted with the care of her young nephew, who is suddenly mute at times except to Scott. He will turn to a friend for a safe haven and find the media blows up his stay at her apartment into an affair. Most of all, he will wonder where his own future lies. This is accomplished, nuanced writing, dropping into each character’s life and where they came from, even the dead victims. We see how they lived before the crash and for others, how they deal with what’s happened, depending on their role in the story. It’s a different and fascinating approach, and Hawley’s prose will draw you in and keep you flipping pages to find out what really happened to that jet and where Scott’s future lies. Highly recommended. While I was researching Death in Salem, I visited this city several times. Since Will Rees, my amateur detective (and traveling weaver) visits Salem in the mid 1790’s, a full one hundred years after the trials, I did not write about the trials. I alluded to them of course, but by 1796 Salem is a wealthy and cosmopolitan city, the wealthiest in the new United States and the sixth largest. The facts of Salem’s witch trials are these: In 1692, a group of girls, including the daughters of the village minister Samuel Parrish, claimed that they were being tormented by witches – and the girls accused some of the women in Danvers (this did not happen in Salem but within a small village just outside). Before the fury ended,150 people were imprisoned and 19 people – and two dogs- were hanged. One man, Giles Corey, was pressed to death. He cursed all future Sheriffs of Salem to die of some chest (respiratory) illness. Apparently most have, but in an era without antibiotics (forget about good hygiene or healthy food) I don’t think that is surprising. What happened? Reasons given for the explosion of belief and hangings in Salem are many. This was a superstitious age, and belief in magic was widespread. Girls used spells to try and see the faces of future husbands, and superstitions regarding illness, birth, and harvest were rife. Harelips were caused when the mother saw a rabbit, birth marks because the mother ate strawberries, for example. One of my favorites: to protect a mother and child during birth, an ear of corn was placed on the mother’s belly. But I can’t believe EVERYONE believed in the supernatural. In fact, one of the essayists of the time, Robert Calef, suggested that the trials had been engineered by Cotton Mather for personal gain. (I doubt that. Evidently fighting out different opinions in print is not a new phenomenon). And anyway, other motivations for accusing someone of witchcraft have been documented. Sometimes it was for gain: the old biddy hasn’t died and I want her little farm, for example. (No surprise there, right?) Sometimes it was to settle scores. Apparently at least part of the reason behind the accusations directed at the Nurse family had at the bottom resentment and the desire for payback. Tituba, a slave owned by Samuel Parrish, and her stories that she told the girls played a part. Variously described as an Indian or a black slave, her testimony apparently drove much of the content of the stories and was a direct cause of the eventual hangings of women described as her confederates. (Ironically, Tituba was set free.) A shadowy character, she has been also described as practicing voodoo. Her testimony, at least to me, reads more like the Christian belief in demons and the devil. Once she was released, however, she, like the girls whose fits started the terror, faded into obscurity. Then there are the girls themselves. To modern eyes, the easy belief in the veracity of a group of girls is incredible. Samuel Parrish believed in the truth of the accusations until the end of his life. I suspect there is another explanation. Women, and young girls especially, at this time were supposed to be quiet, meek and submissive. The claims made by these girls, and the charges against others in the village, put them on center stage. I do not wonder that they kept ratcheting up their stories; anything to keep that attention. Then there is the possibility of ergot poisoning. Ergot is a fungus that grows on rye during wet and cool summers. It releases a toxin similar to LSD. So it is possible that people were genuinely suffering hallucinations. The hysteria ended in 1693. After 1700 reparations began to be paid to the surviving victims and families of the executed. But belief in witches and the trials did not end. In the new United States, a trial and a judicial solution to perceived witch craft became unlikely (and I imagine that the uncritical acceptance of spectral evidence by Samuel Parris in Salem had a lot to do with increasing skepticism) but accusation and hanging by mobs could still happen. (1836) and even in Britain (1863). Violence continued in France through the 1830’s. Accusations continued in the United States as well. In the 1830s, a prosecution was begun against a man (yes) in Tennessee. Even as recently as 1997, two Russian farmers killed a woman and injured members of her family for the use of folk magic against them. There were two incidents of note in New York State. In 1783, Ann Lee, the spiritual heart of the new faith now commonly known as the Shakers, was arrested and charged for blasphemy. One hundred years earlier she might have been hanged as a witch or devil worshipper. But she was released. Persecution of the Shakers continued, however. And Lydia, my primary female character who is a former Shaker, would have been a target. The final trial for witchcraft took place in 1816 in Nyack. Jane Kannif, the widow of a Scottish physician, lived in a small house on Germonds Road in West Nyack. An herbalist and widow of an apothecary, she treated neighbors that came to her with herbs and methods she learned from her late husband. But she was eccentric. According to the people at that time she dressed oddly, was unsociable and wandered around talking to herself. She was regarded as insane, or worse yet, a witch. It was decided to take her to Auert Polhemus’s grist mill and using his great flour scales, weigh her against the old Holland Dutch family Bible, iron bound, with wooden covers and iron chain to carry it by. If outweighed by the Bible, she must be a witch and must suffer accordingly. She was taken to the mill, put on the scales, and weighed. Since she weighed more than the Bible, the committee released her. So what happened in Salem? It seems as though the town lost its collective mind. Despite the attention paid to the accusations and the trials and hangings, for me the real focus lies with the rest of the village, those who saw family and friends turn on them. Think what it must have been like living there at this time. Salem was a small community. Those accused were friends, family and neighbors of their accusers. How could you forgive the ones who hanged one of your family members as a witch and terrorized the others? Especially since the accounts make is clear that some of the charges sprang from the worst of human nature: greed, revenge and malice. What kind of amends would be enough? Would financial reparations ease the grief? I know this is something I could never forgive. 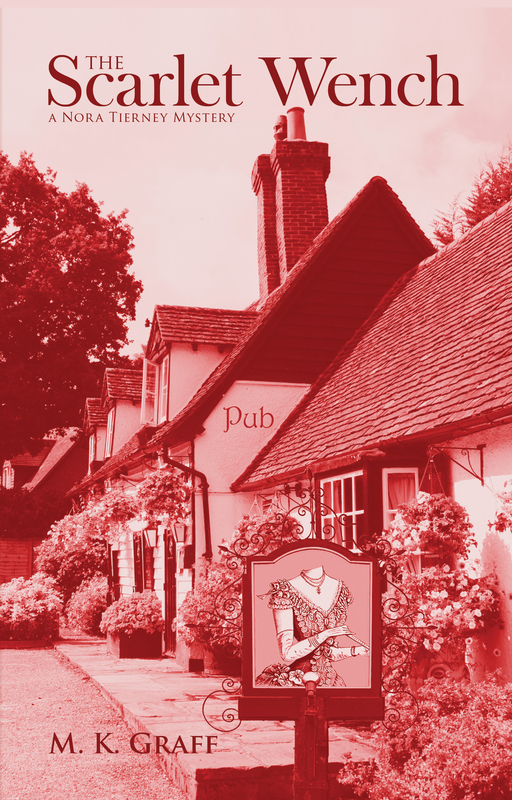 And I would guess that, despite the end of the witch hunts, this village remained troubled for years. In fact, many of those whose family members had been accused or hanged moved away to a new village called Salem’s End. After those experiences, how could anyone ever trust again? Although PTSD is not a term they used, I am certain those who survived their experiences in Danvers suffered from it the rest of their lives. People on both sides: the accused and the accusers, changed their names. One of the hanging judges was a Hathorne; Nathaniel Hawthorne added the w. And the Nurse family, right in the thick of the storm, moved away and became Nourses. That brings me full circle, back to The Devil’s Cold Dish. Rees has a history with several people in his hometown and Lydia, a former Shaker, would surely be suspect. What if -? 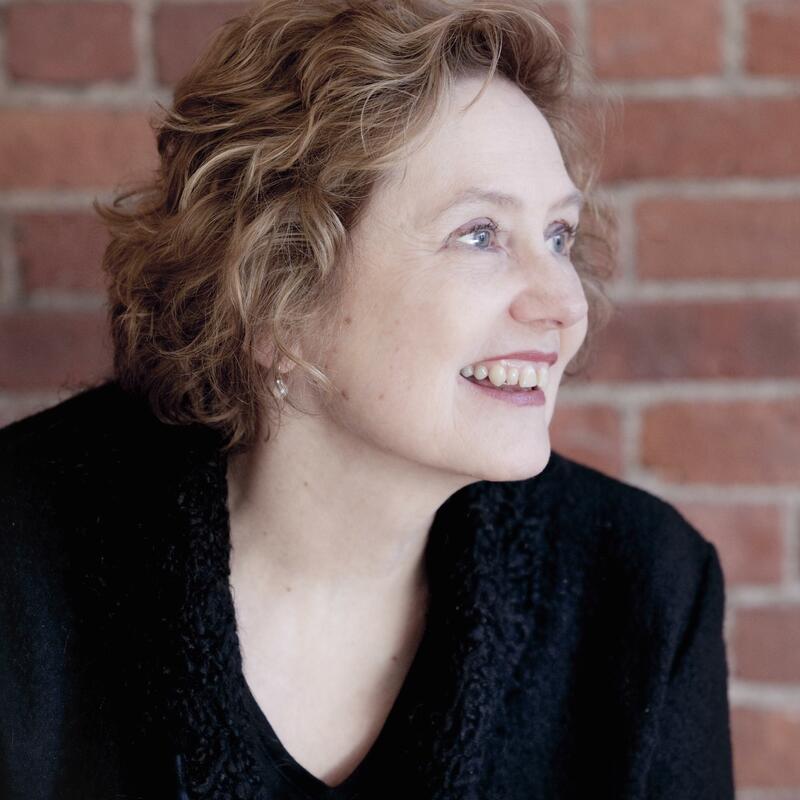 Eleanor Kuhns wrote her first story at the age of ten and hasn’t stopped since. 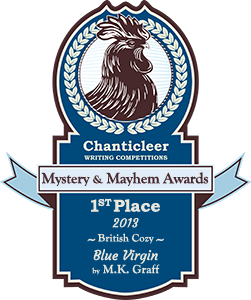 She won the 2011 Mystery Writers of America/Minotaur Crime competition with A Simple Murder. 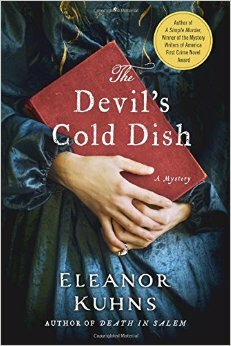 The Devil’s Cold Dish is the fifth in the Will Rees series. A lifelong librarian, she is the Assistant Director at Goshen Public Library in Orange County. She lives in upstate New York with her husband and dog. 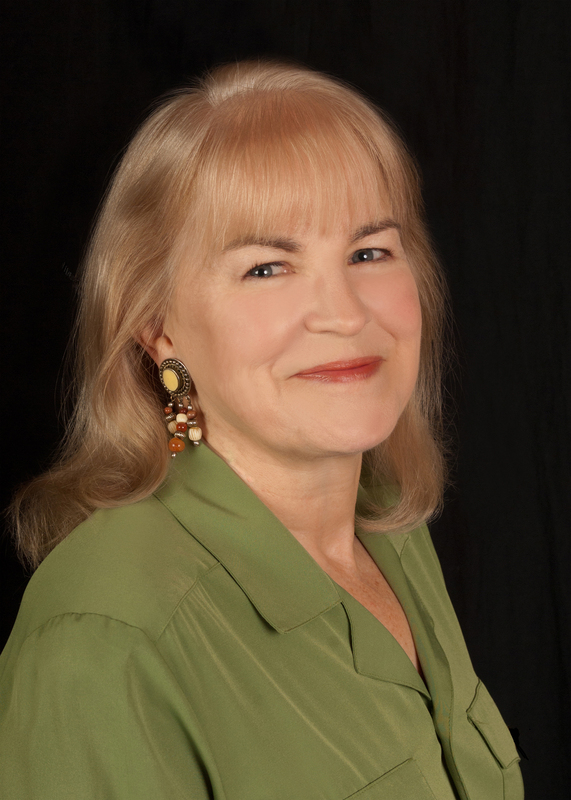 Please welcome Pamela Beason, whose multi-faceted activities and unusual work history form her many writing projects. Most books come both from an author’s imagination and from the author’s experience. That’s certainly true of my stories: my biggest challenge is preventing myself from emptying my brain into every book. I have worked as a mechanical and architectural drafter, geologic research technician, translator, technical writer, managing editor in a multimedia department, and many other jobs too weird to mention. You can imagine what a muddle I could create if I threw it all in. These days, I am a licensed private investigator, which you might think would be a perfect job for a mystery writer. Alas, the work is not nearly as exciting as it is on television. The biggest reason is that real-life PIs have to obey the law because we may have to defend everything we do in court. Also, discretion is everything when it comes to investigation work, so I can’t write about any case. But that’s not to say that my investigation experiences don’t go into my books. Lately I’ve focused on my young adult Run for Your Life suspense series. Why did I want to write young adult stories? One, I love to interview teenagers: they are at such an interesting point in life, where all things, terrific and horrific, seem possible. Two, I have met too many teens in the foster care and juvenile justice systems. They often end up there because their parents are criminals, addicts, or just plain negligent, and they are often in danger from relatives, associates, or their own bad decisions. So I decided to write about a teenager who is forced out on her own because her parents were murdered. The killers are looking for her, too, so Amelia Robinson invents a new identity for herself. She becomes Tanzania Grey, an emancipated minor who learns from undocumented workers how to live under the radar of the authorities. She works hard at picking crops and then at a zoo, gets her GED at age 16, and educates herself though online apps. I was inspired by tough young women athletes to make Tanzania a champion endurance racer. Exotic, challenging, multi-day, cross-country endurance races actually exist and die-hard athletes of both genders seek them out. In my books, my fictional races allow my character to experience adventure and danger around the world. 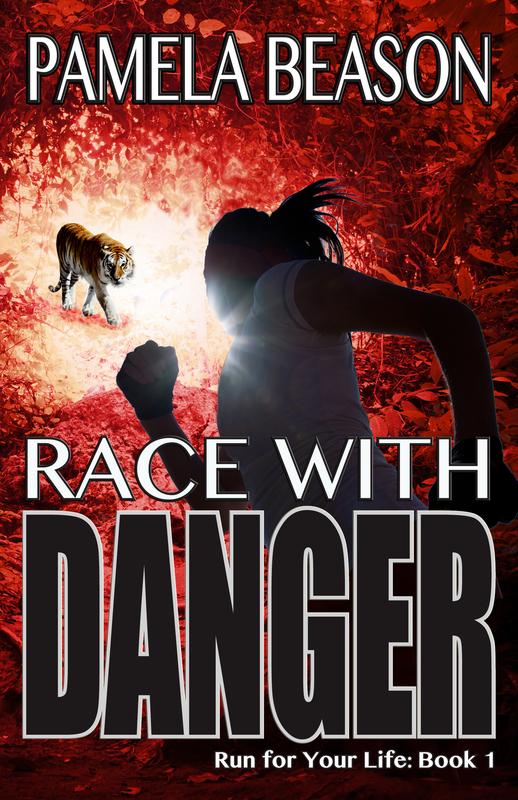 In Race with Danger (Book 1), Tanzania is determined to win the Verde Island Race’s million-dollar prize to save the life of her friend Bailey. 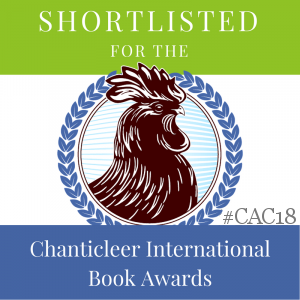 Treacherous terrain and wild creatures that fly, slither, and crawl around this tropical island turn out to be the least of her problems after she draws the name of Sebastian Callendro as her race partner. Sebastian’s personal life has recently put him in the spotlight, and his nosy followers are exactly the kind that Tana can’t afford. 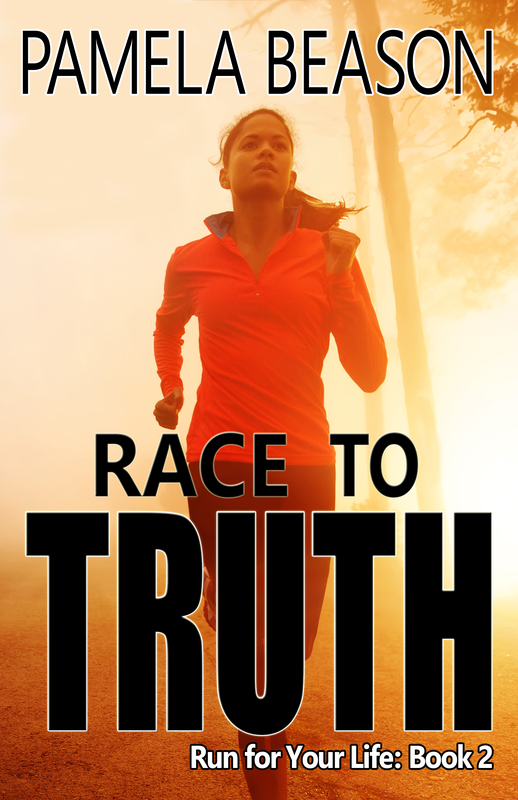 In Race to Truth (Book 2), the exciting second book in the series, Tana receives an invitation to compete in an extreme version of the Ski to Sea cross-country relay race in her home town: Bellingham, Washington. She has always wanted to be part of Ski to Sea, and returning to Bellingham might allow her to uncover clues about her parents’ murders. But sleuthing around near the scene of the crime could also reveal her true identity and cost Tana her life. I’m working on Book 3, Race for Justice. But I don’t want to neglect my other series, so I’m also working on Book 4 of my Summer “Sam” Westin wilderness mystery series (Endangered, Bear Bait, Undercurrents). Did I mention I’m a hiker/kayaker/snowshoer/cross-country skier/scuba diver? A lot of my outdoor adventures go into my Sam Westin series. I write about the wilderness not only because I want to share my passion for nature and wildlife, but because even when you can call 9-1-1 in the backcountry, help is unlikely to arrive soon. That means self-reliance is crucial for survival as well as for solving crimes, and that makes a perfect setup for a suspense novel. And I’ve also begun Book 3 of my Neema Mysteries (The Only Witness, The Only Clue), which feature Neema, a gorilla who has been taught sign language in a psychology project. This series sprang not only from my fascination with animal intelligence, but also from my investigation experience, where I have worked on cases that involve the testimony of small children. A gorilla is believed to have the intelligence of a five-year-old human, so if a five-year-old child can testify, why couldn’t a gorilla who knows sign language? The problem, of course, is whether Neema will be believed, because like a small child, she is easily distracted, has a limited vocabulary and no sense of time, and often invents stories to get what she wants. 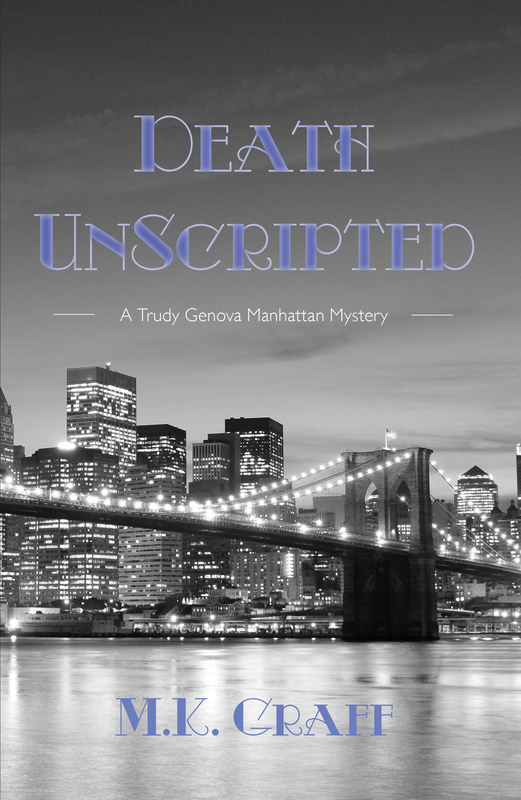 And finally, I am about seventy percent of the way to finishing a sequel to my romantic suspense Shaken, in which a handsome (of course) investigator is assigned to look into whether a business owner (Elisa Langston) is committing insurance fraud. I wrote Shaken because I know how difficult it can be to prove innocence when accused of a crime. Elisa is a gutsy half-Guatemalan young woman whose Mayan mother deserted her at age 9, leaving her to be raised by her Anglo father. After his sudden death, Elisa inherits the family plant nursery, and under her watch, the business quickly sinks into trouble. There’s an earthquake, vandalism, and arson, a lot of suspicious quirky characters running around, and of course, romance! The sequel focuses on Elisa’s adoptive mother, Gail Langston, who is afraid to fall in love again after her third husband (Elisa’s father) dies. Pamela Beason often jokes that she suffers from multiple personality disorder. She’s pretty much interested in everything and can never decide what to focus on next, so she constantly juggles multiple book projects. When she tires of creating fictional escapades, she slips off into the wilderness for a real-life adventure. All her books are published by WildWing Press. You can find links to all her books and join her mailing list on http://pamelabeason.com.